Several Northwest wineries made Wine Spectator's Top 100 List for 2017. The 30th annual list, which honors successful wineries, regions and vintages around the world, featured a handful of Oregon Pinot Noirs, as well as Washington wines including a pair of red blends, a Chardonnay and a Syrah. Washington winemaker Charles Smith garnered two rankings in the top 15. Ranking it at number two and calling it a "knockout," Wine Spectator reviewers described the 2014 K Syrah as "precise and impeccably built but explosive with personality." The 2014 Sixto Uncovered Chardonnay made the list at number 13 and is described as "dynamic, yet sleek and refined." Two Washington red blends made the list as well. Spring Valley Vineyard checked in at number 39 with the 2014 Frederick, a blend of Cabernet Sauvignon, Cabernet Franc, Merlot, Petit Verdot and Malbec from the Walla Walla Valley. Red Mountain's Gorman Winery garnered a spot at number 68 with the 2014 Zachary's Ladder, a blend of Cabernet Sauvignon, Syrah and Petit Verdot. 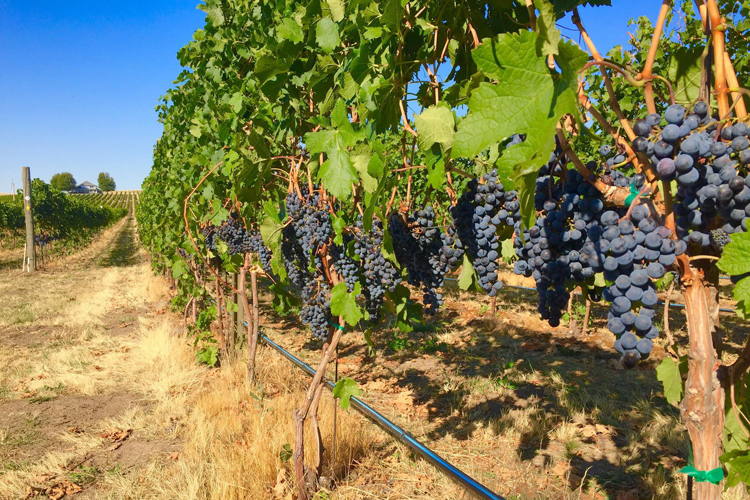 Willamette Valley Pinot Noirs secured four spots on the Top 100. Colene Clemens Vineyards took the highest of these at number 42 with the 2014 Dopp Creek Pinot Noir. Purple Hands took number 63 with the 2015 Latchkey Vineyard Pinot Noir. Lingua Franca was ranked at number 70 with the 2015 Tongue 'N Cheek Pinot Noir and Résonance 2015 Pinot Noir took number 75.